How to get young girls to buy a product: name it the 'mermaid/unicorn/princess' collection. Being completely honest here, the name is what suckered me into buying this palette. 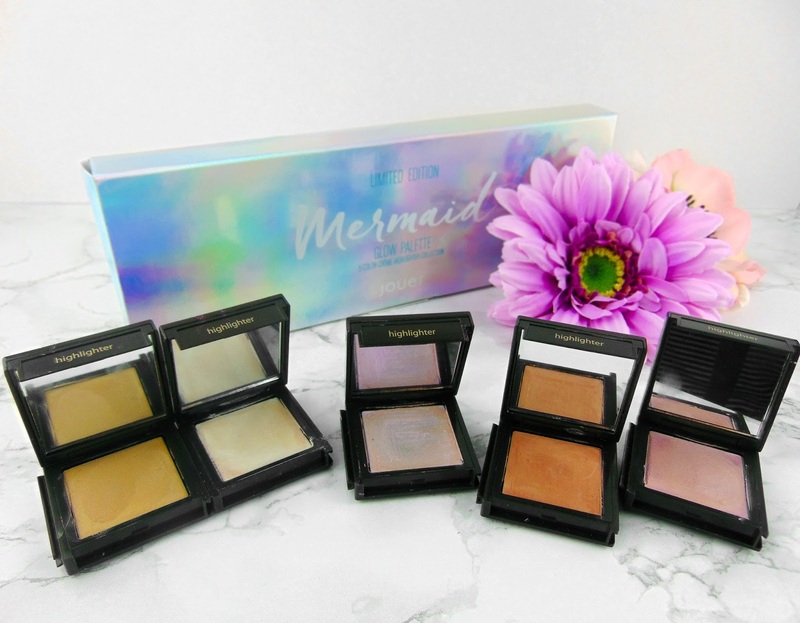 How could I resist something marketed as the mermaid collection?! If the name wasn't enough, the pretty holographic packaging and dreamy highlight colours sealed the deal for me and before I could process what I was doing, I was hunting the internet in hopes of getting this little gem shipped to the UK. I'd never tried Jouer products before but after hearing great things I saw this palette as an opportunity to get 5 full sized highlighters for the price of only 2. At 2g/.07oz per pan you're really getting a big bang for your buck as the whole palette only costs £35 (!!!!!). Lucky for us British, Cult Beauty sell Jouer products and a single highlighter is £16.75 so this palette has a retail price of £83.75 which is an amazing saving. 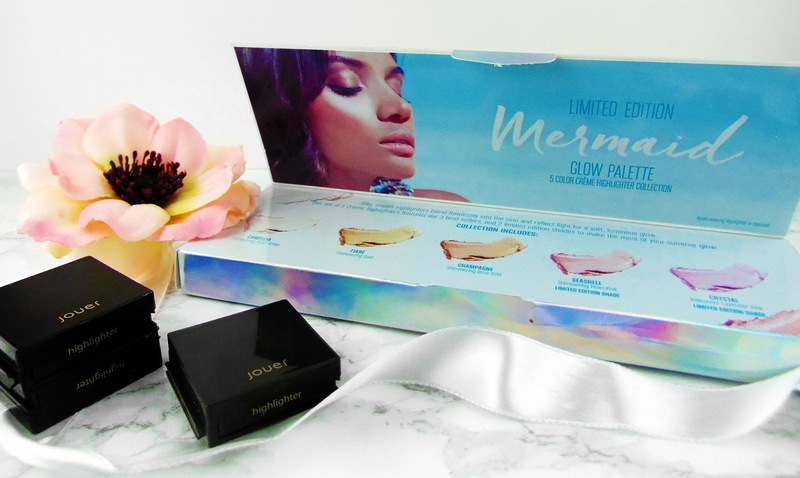 Jouer's Mermaid Glow palette includes 3 permanent shades (Camellia, Tiare, Champagne) and 2 limited edition colours (Crystal and Seashell). I was really surprised at how different each shade is and although they may look similar in the pan, they all transform and look so different once applied to your face. My favourite colour is Crystal as it really does give you a beautiful lilac 'mermaid-y' glow, there are so many different glitters and colours running through it that it shifts in the light to create a gorgeous, mystical look. L-R: Tiare, Camellia, Crystal, Champagne, Seashell. 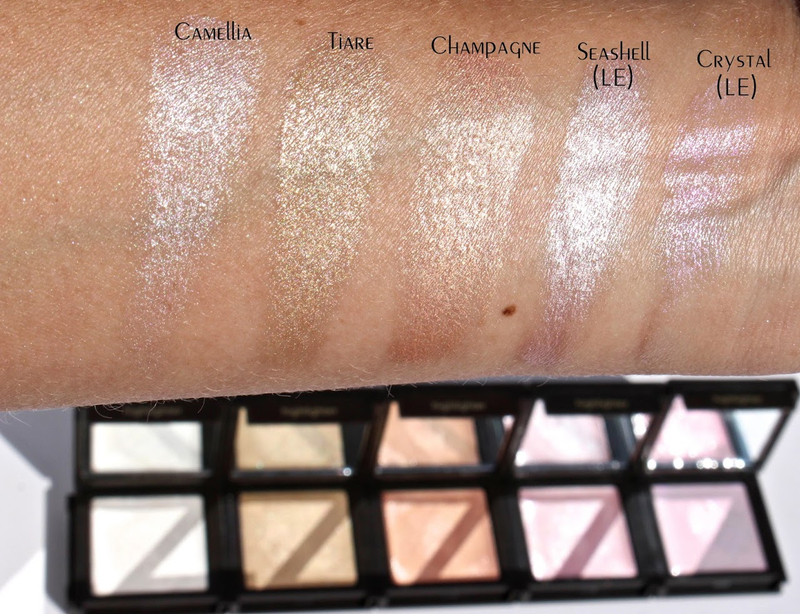 These shimmery - but not glittery - highlighters are all cream as opposed to my usual preference of a powder formula but they still have that high shine look I'm going for. 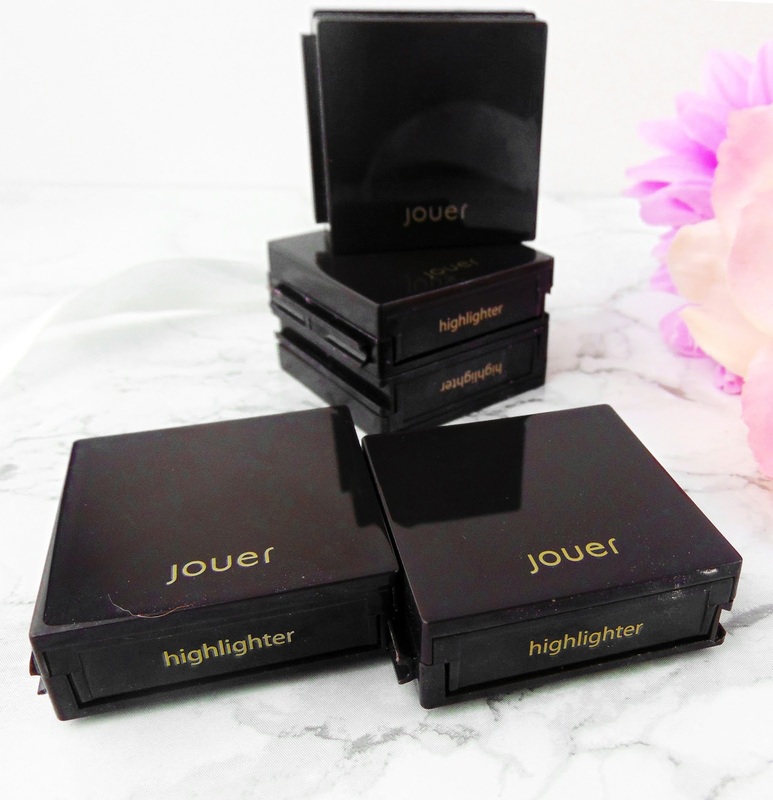 Jouer's highlighters are extremely lightweight and it's an odd sensation when you dip your finger in the pan as it almost feels like you're not picking any product up, even though you are. You can even layer these on top of powder without the powder cakeing up! If Jouer ever introduce more highlighter shades to their collection I'd be all over them as I thing these are absolutely stunning. Other than the initial box this palette comes in, I'm not all too keen on their basic brown packaging but the fact that you can connect all Jouer's products together is really ingenious. It's literally adult lego! One of the only downsides I have is that each pan gets so dirty so easily as I love to mix and match the shades - but that's just a con of creams in general and not a criticism of Jouer products at all. 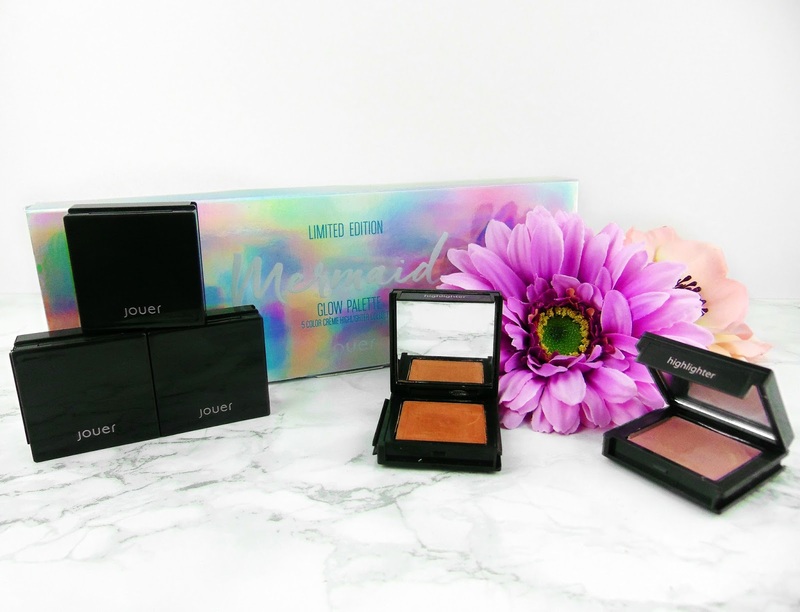 For £35 this buy was a no-brainer and I really recommend purchasing some Jouer highlighters. Unfortunately this palette was a limited edition exclusive but majority of the colours are still avaliable individually. Have you ever tried Jouer products? Do you like the look of this palette?